10,000 UK Ordnance Survey (OS) records, never before re-published. These maps are from the first and most detailed large-scale ordnance survey ever made of Great Britain. Every county is faithfully reproduced. 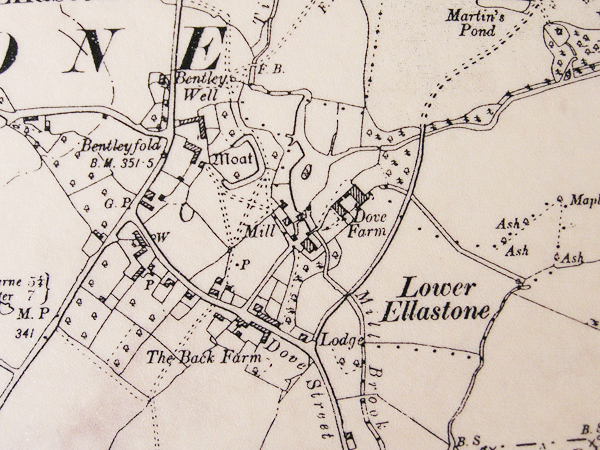 Our antique reproduction old Ordnance Survey maps are accurately reproduced, photographed from the original. These framed maps are produced at very reasonable prices – from £39 in a lovely period frame. Each map will be centred on your chosen locality. 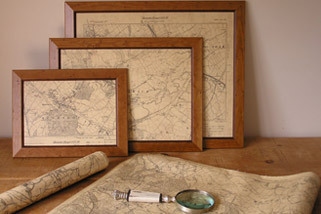 Beautiful antique reproductions of old Ordnance Survey maps. You can give, or own, these amazing views of hedgerows, villages and tracks of anyone’s childhood/ancestors, revealing wells, mines, railways, old out-buildings, even ponds or gardens. These framed Victorian maps are some of the best antique reproduction maps produced in the UK, so much so that our framed maps and antique reproduction maps are sought after, for their quality and detail. 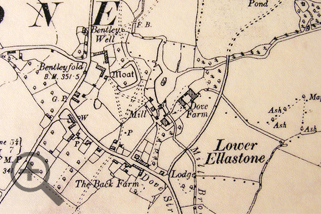 These old Ordnance Survey maps of farms and villages are the most detailed 19th Century maps ever made, framed and centred on any locality. 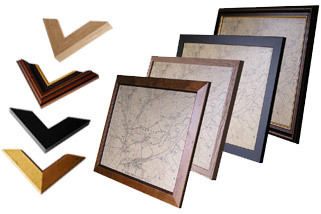 Our wonderful selection of frames provides the perfect setting for a map you can truly treasure. 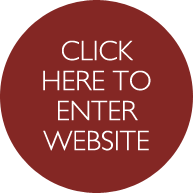 Have a look for yourself; when you have found what you are looking for, contact one of our friendly staff and we will dispatch your map to treasure.